UVM Bookstore's Spring Patio Sale! It's that time! 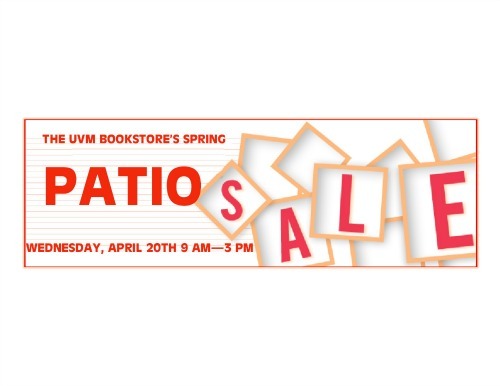 Wednesday, April 20th is the UVM Bookstore's annual Spring Patio Sale! One day only. Find UVM t-shirts, sweatshirts, and hats, as well as books, gift items, and more all at bargain prices.